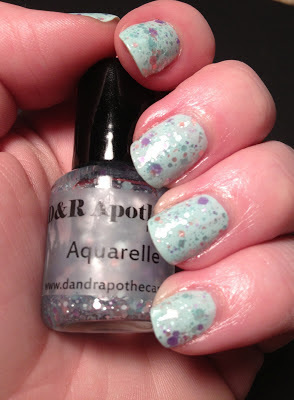 Today I want to share an awesome mani featuring another wonderful polish from Hit Polish. I just can't get enough of her polishes and I already have my eye on a bunch more. 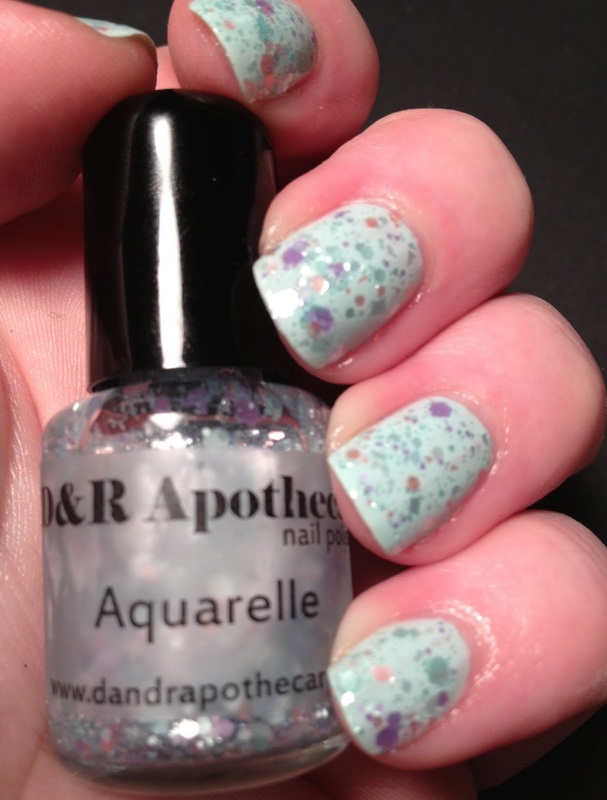 Shipping was really fast and all of the polishes I have received have been outstanding. Honestly, this is one of my new favorite companies. 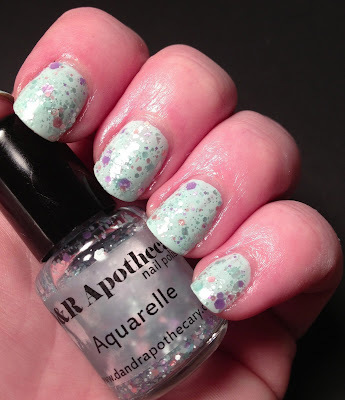 Here I have layered two coats of Aquarelle over two coats of Maybelline Mint Mist. The two coats applied easily and I have no complaints about this, or any other polish from Hit Polish. I started with a coat of Orly Bonder and topped it with my go to top coat HK Girl from Glisten and Glow. I purchased all of these polishes with my own money! Thank you! Sadly the Maybelline didn't hold up that well and chipped within a day. I know it wasn't the Hit Polish because I can wear those for days with other undies. Thank you, she has lots of great glitters in the shop. So unique, which is hard these days.